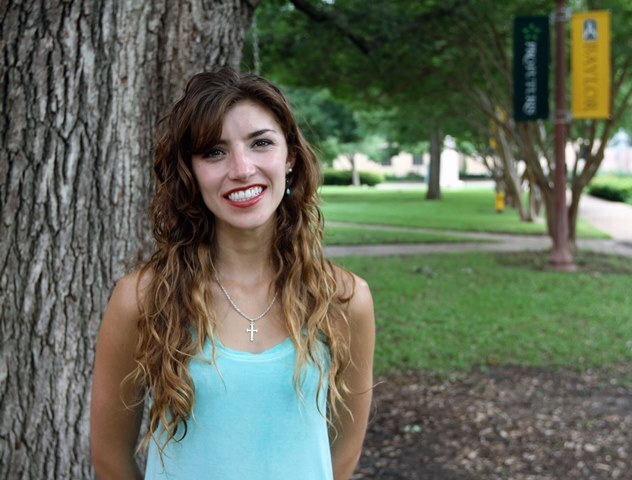 WACO, Texas (Aug. 13, 2015) – Baylor University alumna Bailey Green is one of four Baylor students and recent graduates who have been selected to receive the prestigious Fulbright Scholarship. In 2015, Green earned her degree in international studies and Russian and also studied one term at Queen Mary, University of London and one semester at Voronezh State University in Voronezh, Russia. She received the Fulbright English Teaching Assistantship (ETA) and will spend the 2015-2016 academic year teaching English in Russia. Bailey Green: I received an email stating that I had been named an alternate for Fulbright on Good Friday. Then, 10 days later I received an email stating that I had been bumped up, and I had received the teaching assistantship to Russia. I was so stunned. I forwarded the email to my parents, and I asked them to double check that I had read everything correctly. I was in shock. Why did you decide to apply for the Fulbright and why did you choose Russia? Bailey Green: I decided to apply for the Fulbright because I wanted to go back to Russia and work on my Russian language. I was a Russian major, but I knew after my summer of study there that I needed more practice. Furthermore, I loved the people that I met in Russia, and I want to learn more about Russian culture. What will you do in Russia? Bailey Green: I will be the in-residence English Tutor for the Law Faculty of Saratov State University. I am also going to help with various extracurricular activities such as a foreign policy debate team and hosting American culture events. Bailey Green: I decided to come to Baylor for my undergraduate degree because I grew up knowing many great people who had attended Baylor. They were all dedicated to their faith, family and career. When I visited, I was impressed by how much the faculty cared about their students and how much the students cared for each other. I knew I wanted to be part of the Baylor family. Bailey Green: After the Fulbright program, I hope to attend law school in D.C. and earn a degree in international law. Bailey Green: Dr. Adrienne Harris, Dr. Steven Jug, Dr. Michael Long, Dr. Ivy Hamerly and Professor Eva Hruska all helped me with my majors. I am an international studies and Russian major. Each of them spent time helping me with classes, studying abroad, applying for scholarships and extra time tutoring me. Adrienne Harris, Ph.D., associate professor of Russian: Bailey Green’s Fulbright award is a testament to her hard work and willingness to meet challenges with enthusiasm and positivity. Bailey began studying Russian her sophomore year and has dedicated herself to meeting her goals of speaking Russian and going to Russia ever since. Both Bailey and the department of modern languages and cultures are very excited about Bailey’s Fulbright year. I am certain that she will give as much as she will gain because she is an experienced tutor and will be an excellent teacher. She cannot wait to build cross-cultural relationships with residents of Saratov, a city that was closed to foreigners during the Soviet period. We are all very proud of her! Steven Jug, Ph.D., temporary lecturer in Russian and area studies: Bailey Green was my student in Slavic Studies and stood out from the beginning as an exceptional member of the class. She consistently played a leadership role in the participation-heavy course, consistently mastered course material and earned the highest grade. I also had the opportunity to spend time with Bailey in Russia during the summer of 2014. As part of a trio of Baylor students studying in Voronezh, Bailey and her peers spent a few days in Moscow at the end of their trip. She consistently impressed me by displaying a level of independence and adaptability while managing a massive and complex city of over 11 million. When the students were on their own, she took the lead in planning their days. Overall, I have the utmost confidence in her future success as she heads to Saratov, and in whatever she plans to do in the future. Ivy Hamerly, Ph.D., senior lecturer in political science and director of the International Studies Program: Bailey Green is the 10th international studies major to win a Fulbright award since 2007. She represents some of the very best qualities of international studies majors. She is adventurous, resilient and loves learning from people from all over the world. As her faculty adviser, I got to see Bailey grow each semester into a stronger, wiser and bolder version of herself. It has been a pleasure to teach Bailey and see her blossom during her time at Baylor. Eva Hruska, lecturer in Russian: It is difficult to sum up Bailey's performance in just one paragraph. Bailey was one of those students who was a pleasure to have in class and who makes my job as an instructor that much more rewarding. Her success as a student is due, by no small part, to Bailey's intellectual curiosity, tremendous diligence and display of maturity beyond her years. Early in her Russian study, Bailey spent a semester studying in England and thus missed her second semester of elementary Russian. For most students it would be improbable to come back and succeed in Russian after missing a crucial semester of study. For most students such a feat might be difficult after missing only a few weeks. But because of Bailey's unparalleled hardworking etiquette and her determination to learn, she had not only caught up on challenging grammar and vocabulary, but tested into the next semester of Russian and ultimately continued with great success in her Russian study. Besides being an exemplary student, Bailey is incredibly humble, good-natured, friendly and always willing to help students who might struggle. It is not surprising that Bailey is a Fulbright recipient. 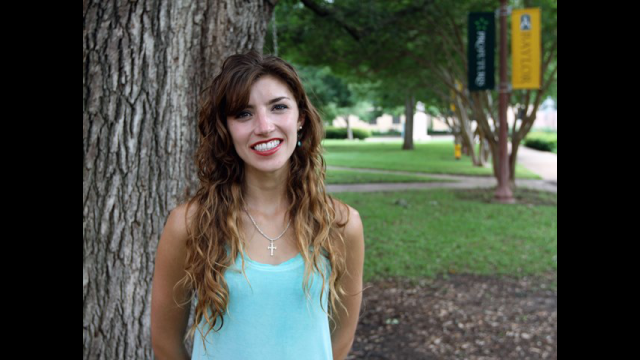 Her continuous diligence and drive to learn, displayed throughout her studies at Baylor, have prepared her to be the right candidate for this prestigious scholarship. I am proud to call her one of my students.